Fort Worth Scottish Rite | What is Scottish Rite? Home About What is Scottish Rite? A Masonic organization that continues a Master Mason’s education of the first three degrees. 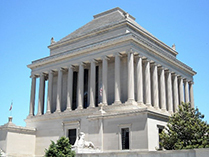 Other examples of Masonic affiliated organizations are: The Shrine (Shriners); York Rite; Grotto; Eastern Star, DeMolay International, and International Order of Rainbow for Girls. The Scottish Rite consists of the 4th through the 32nd Degrees and an honorary 33°, which is awarded for exceptional service. Scottish Rite is governed by The Supreme Council, 33°, A. & A.S.R. of Freemasonry, S.J., U.S.A. which is divided into Orients which are then divided into Valleys. The Orient of Texas consists of nine Valleys. Each Valley is composed of four Bodies: the Lodge of Perfection, Chapter of Rose Croix, Council of Kadosh and the Consistory.